I can't wait to hang some toys from these knobs. Or, dirty baby drawers....whatever! For the large shelf, I cut these wonky paper circles to roughly the same size as the letter knobs to figure out what spacing worked best. Then I drilled some holes and tested out the knobs. They do need to be cut off on the back, we already broke a hack saw on one, so we need a new plan. Ideas? And that how I made a cute shelf for baby. We chose his name the easy way - we put our dad's middle names together and called it perfect. Ashford is Shaun's dad's, and Douglas is mine, in case you were curious. I think we will get him a smoking jacket and a little monocle, because a kid named Ashford Douglas Hilton really needs a monocle. And hopefully he actually becomes a millionaire, since he already sounds like one. I was 38.5 weeks in these shots, I'm 39 weeks today and I'm so ready to meet him! I'm sleeping 'ok', still rocking my heels (this is how you do it, Jessica Simpson! ), and I'm not experiencing very much swelling or heartburn. Instead, I have extreme linebacker stanky-awful sweating, amazingly tight and painful belly skin that is constantly tested by my child's acrobatics, and a general hatred of most foods. I am holding steady at 34 pounds gained for the past few weeks, and haven't seen a stretch mark yet. Here's hoping Ash makes his appearance before I fill up like a water balloon! What a great name and with meaning. Here's to waiting patiently for the little one. Love the name you chose. Definitely needs a monocle! ;) You look great and we're all anxiously awaiting his arrival. As for the bolts, if you have a wire stripper, look at it to see if there are holes near the handle of it. If you have that, squeeze the handles together until the holes align. Thread the bolts in (you'll have to take them off the shelf) until they're the length you need. Squeeze and they should break off. You'll need pure man strength to get it done... Here's a link to a picture of what I'm talking about: http://s7.sears.com/is/image/Sears/00973575000 If you know the size of your bolts, you can easily fit them in the marked holes. Hope that helps!! you look great and i really like the name! how fun and i like the meaning behind it! Ooh I love the name!! You are so lucky to not be experiencing swelling (and that your weight gain stopped unlike mine...arg). My feet don't fit in ANY of my shoes anymore and it is SO brutal. Trust me. Not much worse than seeing gross fat feet in flip flops I tell ya. 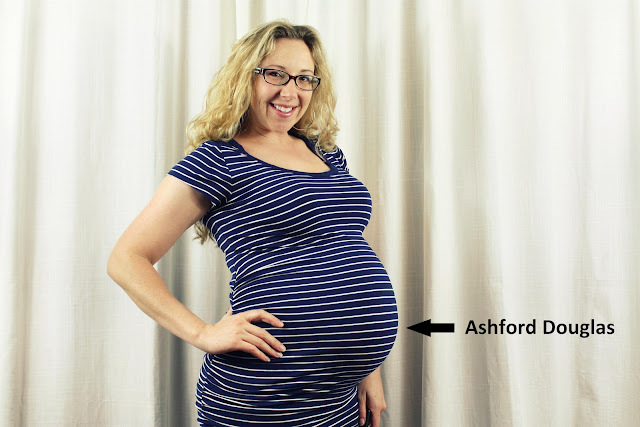 You look fantastic and I hope baby Ash makes his appearance soon!! I love the name "Ashford!" Very Cape Cod-y! I also love his new little shelves - very cool! Hi Sara. I saw that when you drilled the holes for your cabinets they splintered on the back side. Same with your baby shelf. If you clamp a piece/block of wood on the back side and then drill your holes, it wont splinter your project. As for cutting your bolts, if you have a dremel, get a carbite cutting wheel for it. Cut's like butter! *some mommy advice, bag balm works wonders for diaper rash. Literally clears it up in an hour. Good luck and congratulations! I love his name so cute!!! You look great hang in there not much longer to go!! Sara, it's totally criminal for you to look that cute at 39 weeks. Love the cute shelves, love the name and you look great! Happy Delivery and can't wait to see a post about Ash!!! You look awesome! And I love love love the name Ashford. Such a great name. How exciting that he will be soon. I love the shelf and the blue knobs. And I'm seriously cracking up at the stanky linebacker sweating. I'm having the same thing and it's nasty. But I'm jealous of the no stretch marks and swelling. I can't say the same. I love his name,and the nickname ASH! Excellent work on the shelves! I like his name! He does sound like a millionaire with a monacle! No stretch marks? Lucky you! I am 28 weeks tomorrow and what started out looking like reddish bruises are now full-fledged stretch marks around my belly button. Oh well. I guess it's genetics. Oh my gosh........look how great you look! Wish I lived closer to Hobby Lobby, but in the Muskego/New Berlin area nada. also would love it if you added a subscribe by email button on your blog! Pretty please. Here's wishing you a quick delivery! Hey - I just saw someone on the Nate Berkus show TOTALLY steal your idea for that yellow table. AND HER NAME WAS LAURA SPENCER!!!!! Ah I love the name you picked!! You look gorgeous and the shelves turned out great. We used a sonicraft with a bit made for metal to cut off the excess on our cabinet hardware. A dremel could work too. you look beautiful! love that nickname. Catching up on blogs (at last) and I must say, you are looking mighty cute! :) Love his name... and love the makeovers on these little shelves. I so loved putting Halle's nursery together the first time... but now that we have moved, I'm not loving doing the same nursery again in a room that is not quite as cute as her old room! You look so beautiful! I love the little shelf! Little = CUTE! Ahhh, I love a good Goodwill transformation! Those knobs are fab. Wish I could find shelves like that at Goodwill more often. What a great name you've chosen, too. He'll be here any day now! !